Tricentis Tosca, the #1 Continuous Testing platform, accelerates testing with a low-code/no-code approach. 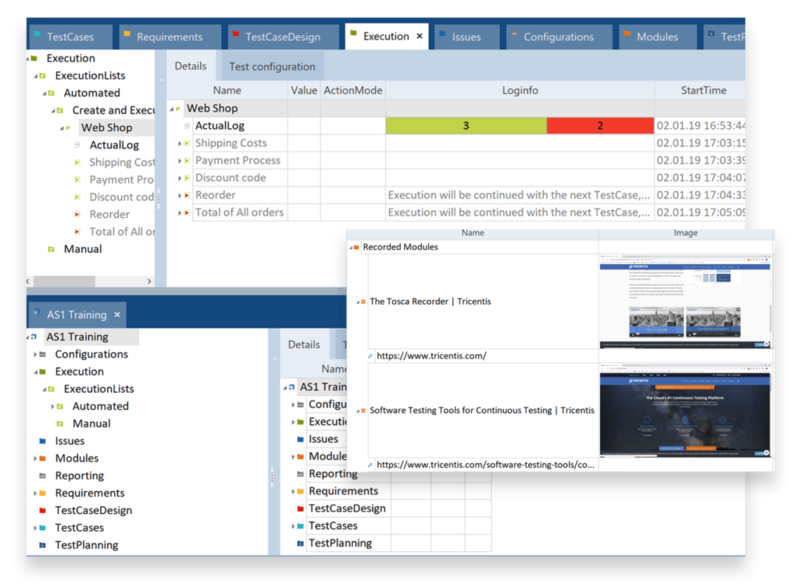 Combine advanced test automation for 150+ technologies with your open source testing tools to rapidly construct, stabilize and execute resilient end-to-end tests. Gartner has recognized Tricentis as “Leader” in Software Test Automation for 4 years in a row. Read the 2018 Magic Quadrant for Software Test Automation to learn why. Leading companies rely on Tricentis to achieve and sustain test automation rates over 90%–increasing risk coverage while accelerating testing. One solution–supporting over 150 technologies–to plan, construct, stabilize, and execute resilient end-to-end tests.